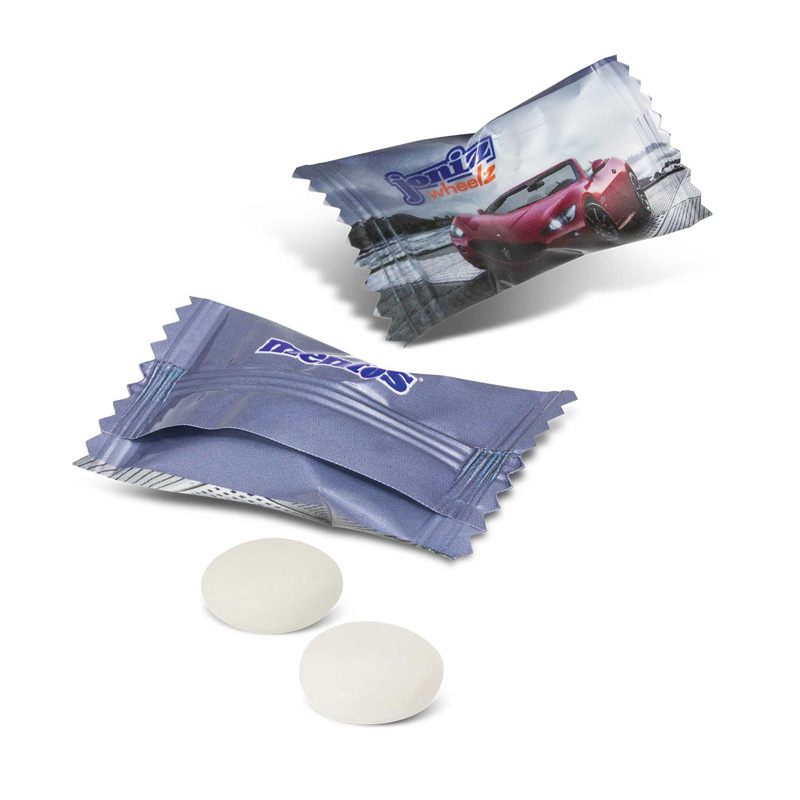 Individually wrapped MENTOS mints with full colour branding on the wrapper. MENTOS is a well known confectionery brand that is loved and trusted world wide. The MENTOS logo is printed on the back of the wrapper and adds incredible perceived value. They must be ordered in cases of 2000pcs and a production lead time of 15 working days applies to this product. Direct Full Colour Digital: 58mm x 50mm.